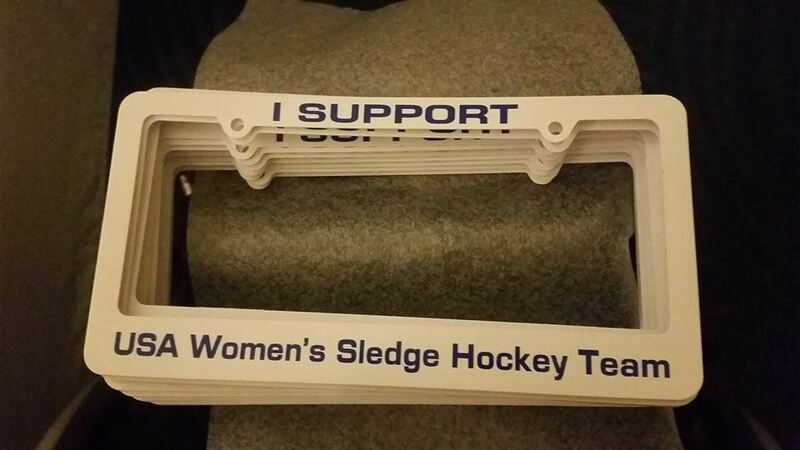 Please Support the USA Women’s Sledge Hockey Team, it’s Only $10! I have to sell license plate covers for $10 each to support our USA Women’s Sled Hockey Team! We are funded ONLY by donations and private donors, so your donation really helps. I made it easy with PayPal on my website- please click the donate button on the right or click on/select from the Menu above and choose “How Can I Help?” Then, click on the yellow donate button. Please remember to include your information. Thank you in advance! It is greatly appreciated. Update: The order date for plates has been extended to January 2016, this is a GREAT way to show your love and support for adaptive sports and disabled athletes! All the ladies that came to tryout this year, almost 30- woah! 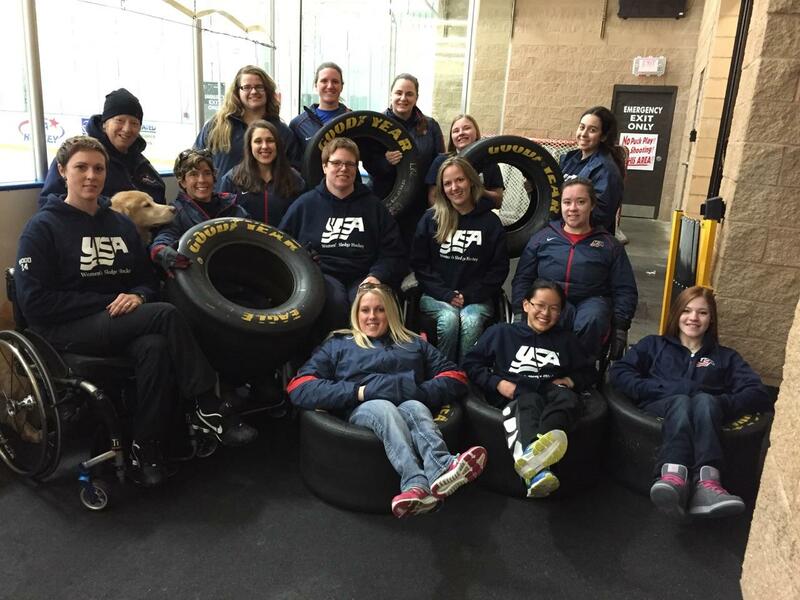 The coaches and staff of the US Women’s Sledge Hockey Team are proud to announce the roster for the 2015/2016 season. There were 17 players selected to the team this year. 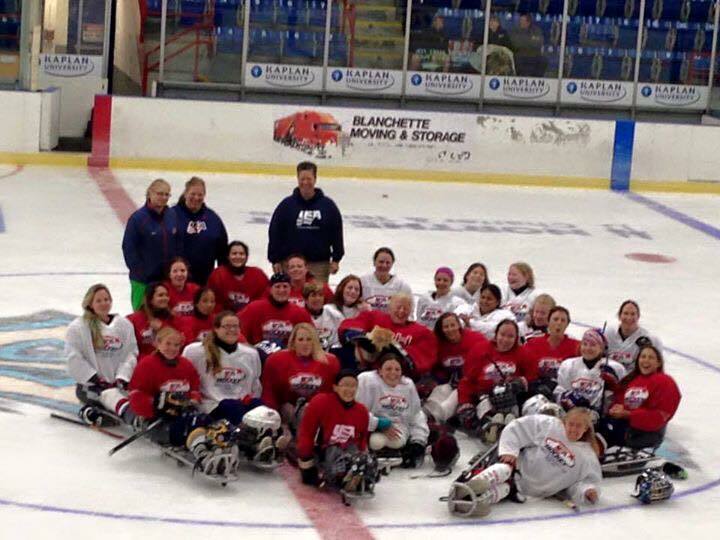 This years’ selection camp was held in Lewiston, Maine at The Androscoggin Bank Colisée and was attended by a record 28 talented female sledge hockey players who were competing for the privilege of playing on the team. Throughout the weekend the players participated in two practices and two intrasquad games after which the team was selected by Head Coach Shawna Davidson and Assistant Coach Rose Misiewicz. Of the 17 players selected to the team, typically 15 of those will travel to each event we attend this season. Additionally, we are excited to announce that because of the number of talented players we had in attendance, 6 players were selected to be a part of the first ever USA Women’s Developmental Sledge Hockey Team. That teams’ schedule has yet to be determined. This year, the team is comprised of 9 forwards, 6 defense and 2 goalies. This years’ returning players in alphabetical order by first name are Christy Gardner (ME), Erica Mitchell (Ill), Karen Smith (CT), Kelly Lavoie (CT), Kelsey DiClaudio (PA), Khrista Matthews (FL), Laurie Wood (VA), Monica Quimby (FL), Morgan Hosbrough (OH), Robynne Hill (CO) and Susie Kluting (MI). New players joining the roster this year are Brynn Duncan (MN), Elizabeth Mayberry (OH), Katie Ladlie (MO), Maddie Eberhard (NY) Rachel Grusse (CT), and Sarah Bettencourt (CA). The players who were selected to participate in the newly created development team are Abby Hess (CO), Karina Villegas (FL), Kelli Anne Stallkamp (OH), Laurel Lawson (GA), Leanne Smith (MA) and Liz Davis (Ill). Congratulations to all the players who were selected for the teams this year, and we look forward to an exciting season that will see us traveling to places such as Canada, Florida, Missouri, New Jersey, Arizona, Ohio, to name a few. 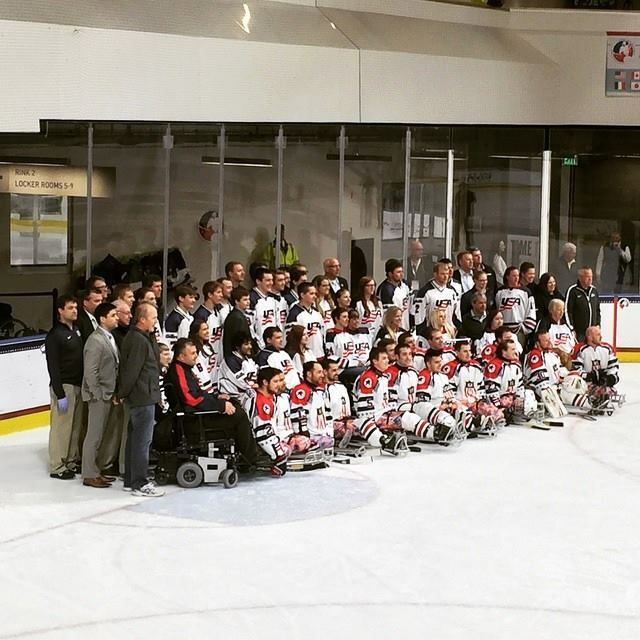 Women’s USA vs. Women’s Canada, and Men’s USA Sledge Hockey are World Champs! 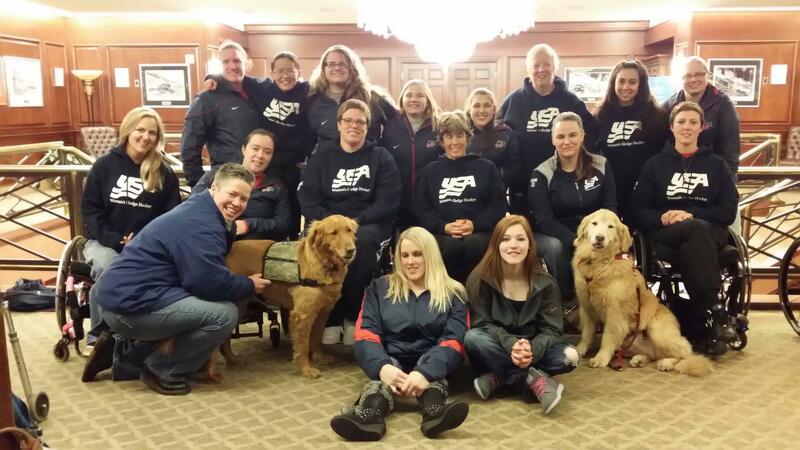 This weekend May 1-3, 2015 the Women’s USA Sledge (Sled) Hockey Team, comprised of 13 players from around the country, to compete in a 3-game series vs. Canada. We flew into Buffalo, NY on Thursday, April 30 with a warm welcome from the airport and two Team USA Olympians joined us for practice that evening. Our games took place at the Northtown Center in Amherst, NY and the first game of the series we tied at the end of the third period and went into a 5-minute overtime, with Rachel Grusse scoring the winning OT goal off a rebound. The final score 4-3, USA. 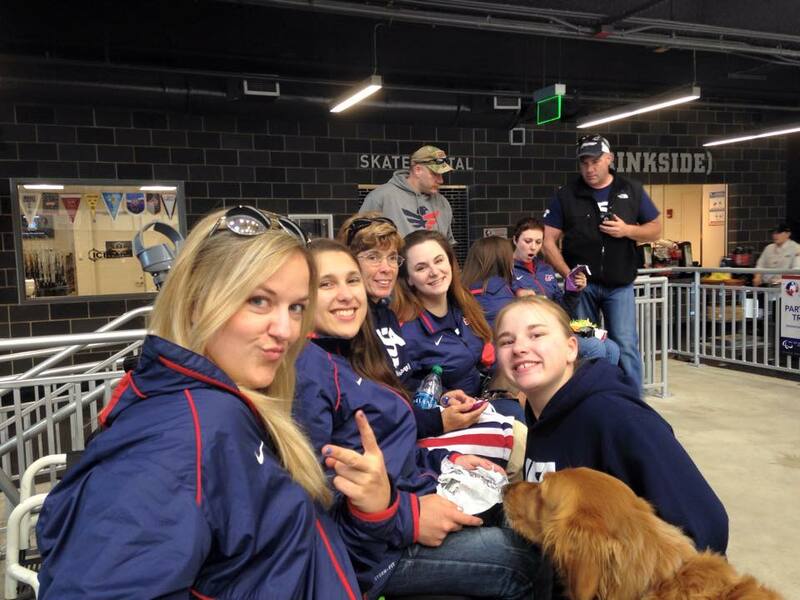 That evening we went to the HARBORCENTER to watch the Semifinals for the Men’s Sledge Hockey World Championships. The first game was Canada vs. Russia- close game with 12 shots each by third period. Canada came out on top, 3-2 against Russia. The second game was USA vs. Norway resulting in a complete shutout with 29 shots to 7 respectfully, a 6-0 final. Yay! Each winner of the semifinals go on to the Gold medal game, USA vs. Canada in the FINALS!!! After a quick cold breakfast, we headed to the rink for our last game. The game was fast and intense, tying in the third period. We put another 5 minutes on the clock in OT, and Kelsey DiClaudio scored top shelf within 38 seconds for the win! Therefore winning the series with Canada, 2-1. 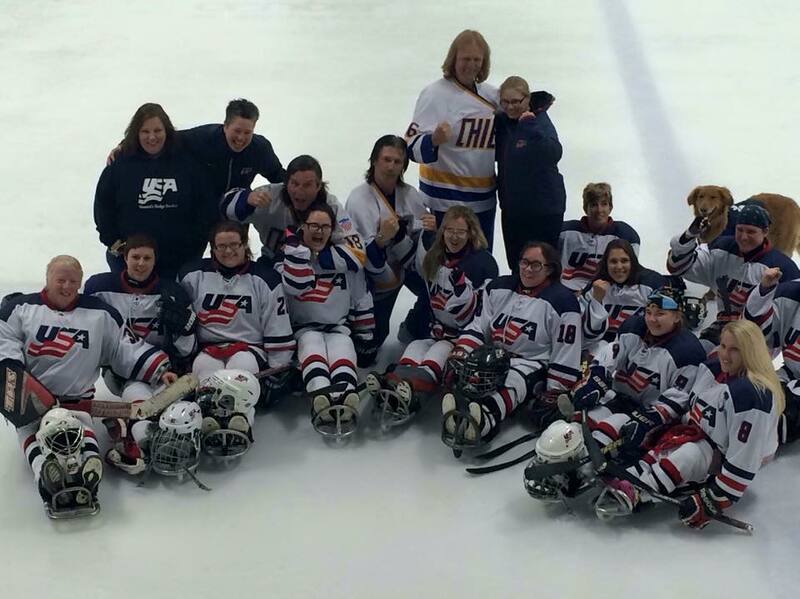 Our USA Women’s Sled Hockey Team top scorers during the series were Kelsey DiClaudio of Pittsburgh and Erica Mitchell of Chicago, (Captain). 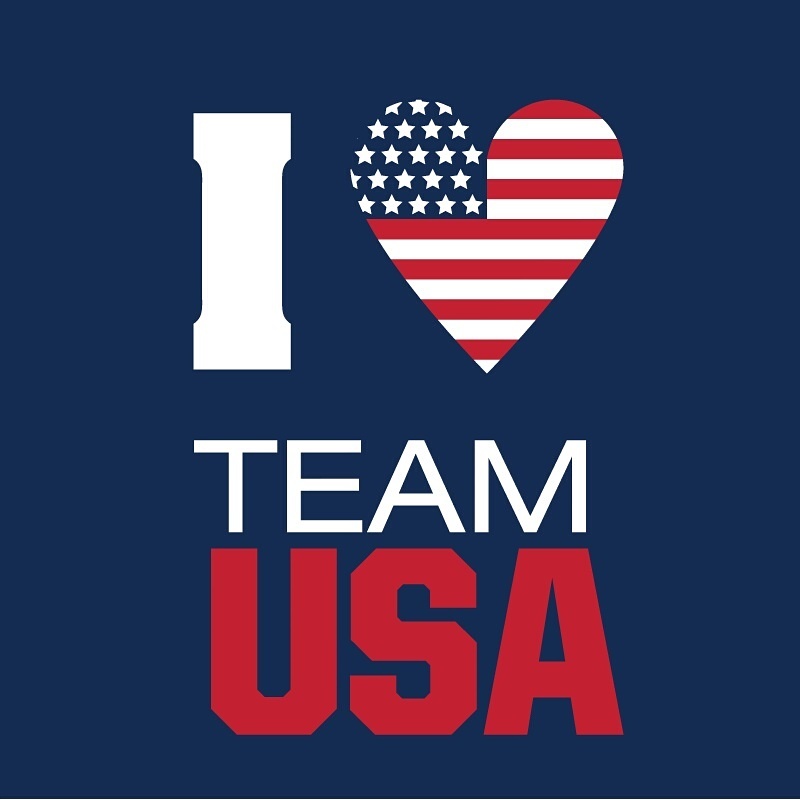 I was flying back into Tampa when the Men’s USA Team was playing the Gold medal game at 2:30pm, aired live on NBC Sports. As soon as I landed, my phone was blowing up and the game was super close as 0-0 until the third period. Then USA dominated with a 3-0 shut out vs. Canada winning the Gold for the 2015 World Championships! After the flight in on Thursday, we arrived at the hotel to put our stuff down and grab something to eat before the first practice that evening. We had a joint practice with the men’s team running plays, shooting and passing. The next day we had two solo USA women’s practices after breakfast at the hotel, one in the morning and one in the evening. We went over drills and plays in the morning. We also broke up into offense and defense to develop with our lines. We headed back for a quick clean up and lunch at the hotel, then back to the rink for another practice. We did more drills and we also scrimmaged in small groups working on different areas. We also took this awesome pic at the rink with the Goodyear tires laying around- NASCAR country! The last day we had one more solo women’s practice in the morning and after lunch we had a large scrimmage with the men’s development team with two, 45 minute halves. It was a blast, but I hurt my left hand within a few seconds on the ice by catching my hand between a player’s skag (nose of the sled) and the boards… ouch! Thankfully, just a bad bruise and I iced it between line changes. If it isn’t broken, you play! Welcome to hockey, baby. That evening we went to the Charlotte Motor Speedway club house to have dinner overlooking the track all lit up, soooo cool! 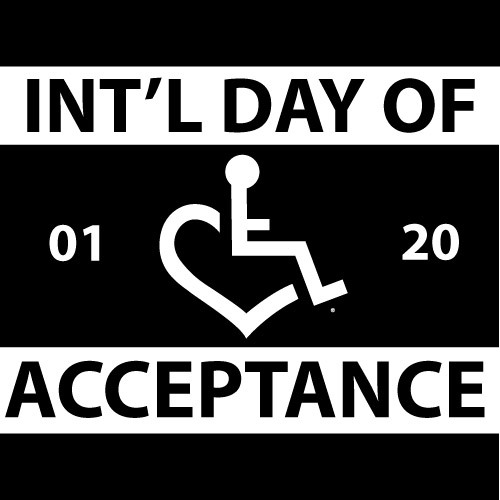 Today is a special day, and it is focused on acceptance. 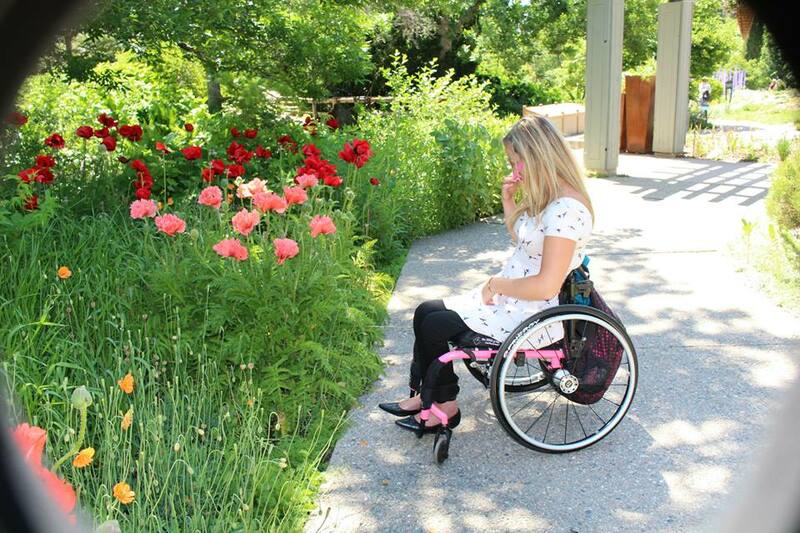 I interpret this as accepting myself for who and what I am, disability and all. One definition of acceptance is though the root word accept is, to agree or consent to. I think the definition I identify the most with acceptance is to undertake the responsibilities, duties, honors, etc. of. To me, this really encompasses what I go through daily. I view myself as an educator and a teacher, not only in the conventional sense, but metaphorical. I teach by sharing my experiences in life. If it is at UPS and a father is asking me how I can explain pushing up a ramp so he can tell his 10 year old wheelchair using daughter or doing public speaking events of 500+ people. I accept that my accident has left me in chronic pain and paralyzed without the ability to walk, feel or control autonomic functions. I accept the ups and downs in life. I accept that this is my current form. I accept that I can make a choice. I choose to be happy. What do I accept that makes me happy? I accept love and kindness. I have learned how to accept a helping hand to reach something on the top shelf when I’m trying to make a fulcrum using a spaghetti box on a lower shelf to fling it down. I accept that some people, places and things need to be let go of in order to become happy. I accept that no goal is too lofty and no dream is too big. I accept, I am beautiful and worthy of love (these are hard ones for me!) I accept I can be of service and give back to my community, which gives me so much in return. I accept I am different and always have been, even before the accident. I accept time in nature every day is important to my being. I accept I do not live a conventional lifestyle. I accept working out as a challenge, testing me to find any and all muscles that can still function. I can accept, I am still an athlete. I accept that I can still contribute and help relaunch the new floridasledhockey.com website, a sport that I love. What makes you happy? Please leave a comment! We started the morning on Saturday October 11th at the Ellington Ice and Sports Complex with a meeting in the locker room at 9am. We were on ice shortly after and had a great Florida Sled Hockey Bandits (state-wide elite team) practice with some new and returning players. I definitely got the ‘warm welcome’ as we went through drills, small scrimmages, scenarios and more. Time to get to the next level! After the Bandits practice, we had some time to recover and grab something to eat before the scrimmages. We had SUCH a great turnout! Coach Ron reported that we had 35 sled hockey players from 4 different programs– Florida Ice (Fort Myers), Lightning (Tampa Bay), Hurricanes (Spacecoast), and Tiger Sharks (Palm Beach). Full representation of many disabilities, all ages and different stages of playing, as well as more women joining the game. Wow!! We ended up having 3 full lines and 4 rotating goalies for both scrimmages, it was a lot of fun and it was great to see everyone there. This weekend was the Tampa Bay Fan Fest! It was a fun time with games and activities for the kids, TB Lightning scrimmages, interviews with the players and more. 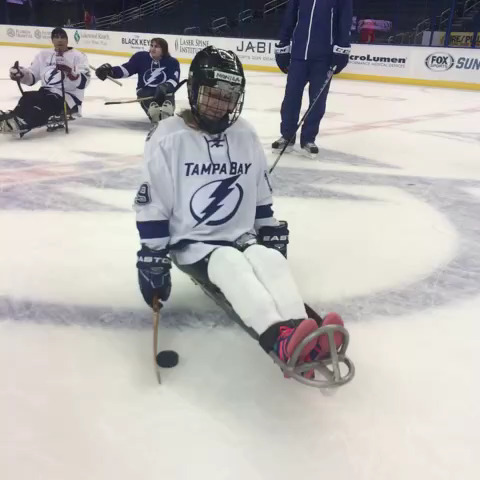 At 2pm, the Tampa Bay Lightning’s sled hockey team went on the ice, where we collectively came from teams all over the state. It was a carefree pace when we scrimmaged and always a good time to play at the forum. They even announced & put my name on the scoreboard for making the USA women’s sled hockey team! Humbled and this new chapter is so surreal! It was awesome to see some of my Florida Sled Hockey Bandits team mates and the kids from the TB team. This picture is a snapshot of my puck handling on the ice at the Forum, shown on the TB Lightning Twitter and TB Lightning Vine channel (Sept 27, 4 days ago). Ahhhh, pretty sweet! Click on the blue links to see the few second video. After I headed home to quickly get changed to head down to Fort Myers to be ready to go on the ice again the next morning, (go where the ice is!) The practice at the Skatium is mostly developmental sled hockey players and I like to go to these practices to help motivate them. I have mentored since I have been in middle school; it’s still one of my favorite things to do! I’m so glad I can do it in the athletic field as well as the work I have done in academics. Let's beat my home team!